It seems to me that Jesus and the Apostles made it clear: Christians are to focus their work in fulfilling the Great Commission by using the gifts, talents, and social positions they find themselves. Like my pastor says: “please don’t hear what I am not saying”. I am not saying that Christians are ONLY to do the Great Commission obvious things like preaching, teaching, and evangelism. Rather I am saying that it seems to me that Jesus wants us to take his command seriously in that it is the primary motivation for our work in this world. Many people will take this thinking and run in the direction of saying that only such activities that directly and obviously fulfill the GC (Great Commission) are to be done by Christians and no other activity is worthy of their time, but that isn’t what I am saying. In order to better understand my thinking on this subject one must think slower and longer on it than the quick assumptions we all make from the gut. This entry was posted in Church, Religion on August 28, 2012 by coramdeo. It seems, in Southern California at least, that many Christians mature in the same way. We start out being legalistic and antinomian (against the a law), that is we live for the law we create for ourselves, while we think we have thrown off the shackles of any external law that seeks to oppress us (this is usually our pre-Christ days). In this stage we live how we want. We do what we want. We believe what we want. Because in the end, its all about us. We are our own gods. The next stage of maturity happens when we first become Christians (note there are many stages and none of us will achieve perfection on earth, I only talk about 4 stages to make a point on how I have seen myself and other Christians grow, these aren’t biblical stages just observations I have made). The Spirit of God so works in us to love Him, and hate evil, that we then respond to our former lives the total opposite way: we become legalistic and rule bound. If we used to drink alcohol without restraint, we now fence it in with stringent rules about not even touching it! It is apparent to us how sinful we are, and we hate that sin, so we attempt get rid of it all through our own wisdom, cunning, and devices. Christians in this second state are easily picked out of a crowd. They dress modestly (often apparently so), they don’t drink alcohol, they don’t gamble, they don’t watch certain types of movies, and don’t do many other things that are completely acceptable to our culture and to many other Christians. They fear sinning against God so much that they put a fence around his law so they cannot even get close to sinning. The problem is this fence (like do not drink alcohol – Scripture never says do not drink, only do not get drunk) becomes the new law. People in the first state of maturity and Christians in the second state both are legalistic (trying to please god or God through their own means and on their own terms), and although the latter claim Christ as their savior, they also have added their own performance and rule keeping to the mix. This entry was posted in Church, Culture, Life Philosophy, Religion on April 24, 2012 by coramdeo. There seems to be a movement that is growing among the younger generations (my generation included) that is anti-formalized religion (their name). I haven’t had a chance to sit down with leaders in this movement so my comments are based on hearing them talk publicly and through reading their literature. If I could boil down what I think it is they are about it would be this: Religion created by man is bad, Relationship created by God is good. Of course when you make the argument of one between God vs Man, we know who will win. “But are they framing the picture correctly or are they tilting at windmills,” I ask my self. Perhaps they are a little confused or unclear about their definitions of religion and what “religion” they are pushing, but if they are overall doing more good than harm should we complain? I don’t know the answers to all these questions but I have a few thoughts that come to mind. I want to begin my comments with the statement that I believe the preaching of the Gospel (rightly understood – but that is a subject for another time) will offend many, and yet God will work through the Spirit to draw people to Salvation in spite of the “walls” we think that will prevent them. God has sent missionaries to preach the Gospel to people, and then teliport them away (Philip comes to mind in Acts). No person is too far away or walled off for God to not reach. Often I believe we have a God who is too small, who needs our help in removing some “walls” so people can get to Him or He to people (depending on your soteriology). Therefore, even if I do not 100% agree with the philosophy of ministry or even the methods of evangelism that someone may use, I will (like Paul) be happy that Christ is preached (if He is truly preached). However, this also means that I (like Paul – see Galatians) will not tolerate a false Gospel being preached by anyone, anywhere, for any reason. Of course I have no authority like Paul to respond like he could, but I can at least challenge my friends, family, and anyone else who will listen. That is what this Blog is for by the way. This entry was posted in Culture, Religion on April 13, 2012 by coramdeo. I have made comments in the past about Christianity being a Religion and I would like to add a few more to further my thinking on the subject and clarify my position. I heard recently a group of pastors I really respect arguing that Christianity isn’t a religion, because “religion” is man’s attempt to reach God, while Christianity is God’s reaching out to man. When I heard this line of reasoning the proverbial light bulb lit in my head. What really is the issue is the definition of Religion. What is Religion, or rather how does one define it, and if we are all working with the same definition, do we still disagree. I think the real issue is that we all are not working with the same definition of religion thus many of us think we do not agree on the subject but we really do. I would argue that historically Religion has been roughly defined as the system of beliefs and actions which develop and exist in the right relationship with the true God. Has not the historic Church argued that they were a Religion, albeit the true one, and all other religions false ones? I wonder if any Ancient Christian writer ever really argued that Christianity was not a religion. I don’t see such arguing in the Bible, that I am sure of. In our present time it seems that many in the church are focusing their energy, not in the historic apologetic of defending Christianity as the true and only religion, but in removing Christianity from the Religion debate all together. Of course such an action is desirable by many because it is the easy way out. If one is apart of a group that is considered pretty lame, it is much easier to just claim you are not in that group, than it is to correct the misconceptions. 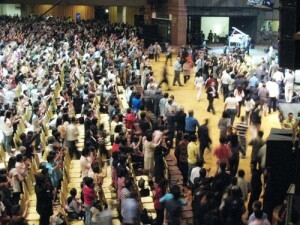 This entry was posted in Church, Culture, Religion on April 4, 2012 by coramdeo. 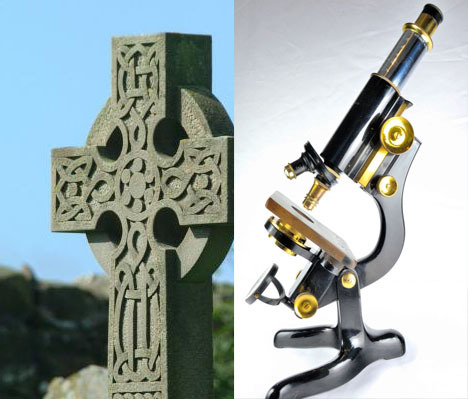 Grab your pitchforks, iron up your flint, and pitch your hay we are going to talk about science and religion! As the mob grows and the fires burn, I feel the sweat dripping from my brow, for such subjects ought not to be address by morals who value their lives, or at least the approval of others. This entry was posted in Religion, Science on June 10, 2011 by coramdeo. When one thinks of the phrase “quenching the Spirit” one does not immediately think of Pentecostals. After all they are the ones who usually are criticized for being too “Spirit” focused. I am also sure that most evangelicals would reject the notion that their churches too, often quench the Spirit. So, the question is, do they? I believe they do quench the Spirit more often than not, and it has to do with rightly understanding how He (the Spirit) works. The job of the Spirit is to fill and comfort believers after Christ’s ascension. To spread the word and create the Church. He works from the command of Jesus and the Father. So, if we look at Scripture how do we see Him normally working? We see Him working through pretty ordinary means, although there are some significant exceptions, we never see the exceptions made into the rule nor do we see them lifted up as needed to be in future generations. I propose that the Spirit mainly works through ordinary means such as: Word and Sacrament, while in rare cases works through other means. This entry was posted in Church, Religion on March 16, 2011 by coramdeo. In contemporary Evangelicalism the Altar Call has become the Third Sacrament, and sometimes the only sacrament as it often replaces both baptism and communion (by making baptism and communion be only human responses and not heavenly blessings). 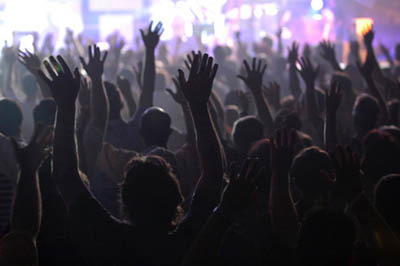 The problem is: no where in Scripture are we given a command to have Altar Calls; they are a creation of man not God. I know this position will inflame many people, and upset others for it seems by stating such, I am attacking the heart of the Christian religion. After all, how can one preach the Gospel and expect it to save anyone unless they give an Altar Call right? In a word: wrong, scripture never has demonstrated nor commanded an Altar Call. Let us define our terms so that we are all on the same page. When I speak of a Sacrament I am speaking of an ordinance in which God works to confirm heavenly realities, grace, and spiritual blessings. The only two taught us in Scripture (sorry my Catholic friends), are Baptism and Holy Communion. Baptism in the most basic of explanations, confers to us the New Covenant, by making us members, and all the spiritual blessings there-in. As a covenant sign like Circumcision in the Old Testament, baptism is to be given to our children, because they are in the covenant, and thus need the covenant sign applied to them. Now please note it doesn’t save, and it doesn’t confer regeneration, but non-the-less there are real spiritual benefits with-in baptism, and to reject it, is to reject God’s covenant (and thus Salvation). One’s baptism, as a believer, can be one of the greatest anchors in which to assure ourselves of our salvation, not because it demonstrates our commitment to God, but His commitment to us within the Covenant. This entry was posted in Church, Religion on March 14, 2011 by coramdeo. As I have grown throughout the years in my Christian faith, my tastes for worship songs have changed. Often I have wondered if the change is merely subjective, or if there is some objective growth to be found under the surface. Am I growing closer to God’s ideal for worship, or am I growing father away? Like any sane person, I consider my changes in tastes and preferences over the years to be an improvement, rather than a de-evolution, in maturity. This article is my attempt to discuss some of the reasons behind my changes in taste, and why I think more people ought to change with me. I will assure you that my thinking is not bubbling from a latent and invisible arrogance, but rather springs forth from what I am convinced God, through Biblical revelation, desires of His children. If I have gained any truth or maturity in Spiritual things, I acknowledge that God is to be praised and not I. This entry was posted in Church, Religion on February 4, 2011 by coramdeo. Is God Unfair In His Commands? “Grant what thou commandest and then command what thou wilt.” With those words Augustine enraged Pelagius. The idea that God would command something of men, of which they cannot do apart from Grace, on the surface enrages all of us, and perhaps rightly so. “That isn’t fair” or “I don’t believe in that God” and perhaps even “God would never do that” are some of the complaints we have made to the idea that God commands men to repent and have faith in Jesus, when no man is able or willing to do so. Thus we argue that either God doesn’t require it of all men, or men must be able to do what he requires apart from Grace. To many of us this seems as absurd and evil as commanding a cripple man “walk or die”, and so it is in that light we look at God’s commanding of us to do what we cannot nor will not do. This entry was posted in Religion on January 6, 2011 by coramdeo.